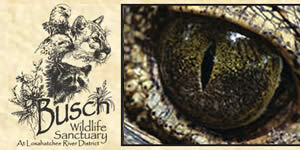 The Busch Wildlife Sanctuary is a non profit, educational based care facility for injured animals. We're dedicated to bringing wildlife and people together to develop community awareness of the value of Florida's natural resources. 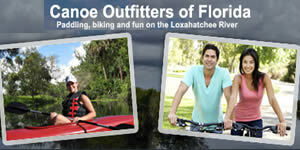 Canoe Outfitters of Florida, Inc. Located on Florida's only "National Wild and Scenic River," the Loxahatchee, famous for its large stands of Bald Cypress, countless birds and diverse wildlife. 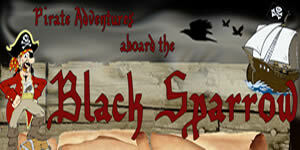 Self-guided and guided trips offered. Sparrow Pirate ship. Find the treasure and shoot the water cannons! 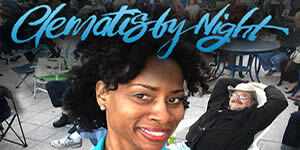 Free concert series at the Nancy M. Graham Centennial Square in downtown West Palm Beach. Every Thursday from 5:30 p.m. to 9:00 p.m. with great music by CbN Spotlight bands, shop for arts and crafts in the CbN Showcase, taste a variety of foods in the CbN Café, and watch children play in the interactive fountain. It's a Boat! It's a Bus! 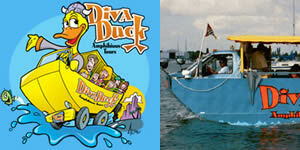 It's DivaDuck! Exciting amphibious tour over land and sea is fun for everyone. Fully narrated musical tour is 75 minutes, beginning at CityPlace in downtown West Palm Beach. 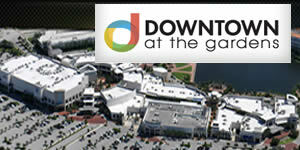 Downtown at the Gardens is Palm Beach County's newest open-air, pedestrian-only shopping center featuring a Whole Foods Market, 16-screen Cobb Theater, an extraordinary collection of restaurants and many of the nation's finest specialty retailers. Additionally, visitors enjoy elaborate landscaping, three permanent art fountains and an exclusive collection of museum quality sculpture, displayed on a rotating basis for sale. 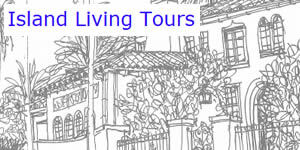 Island Living provides both chauffeur driven tours and bicycling tours of the famed island of Palm Beach. Learn about the history and the people. See the fabulous mansions and the exquisite architecture. Discover why Palm Beach is one of the most desirable places in the world to live and play. 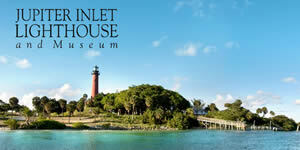 Jupiter Inlet Lighthouse & Museum offers climbing tours of the landmark 1860 Lighthouse, History Museum, gift shop, snack shop, programs, sunset tours and weddings. Open Tuesday - Sunday, 10:00 a.m. - 5:00 p.m. Last Lighthouse tour at 4:00 p.m. Call or see website for climbing restrictions. Lion Country Safari-West Palm Beach. 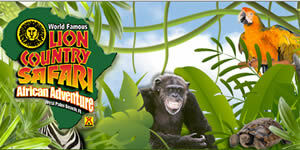 Drive through safari with hundreds of animals roaming free and amusement park with animal encounters and demonstrations, rides, shopping, food and thrills. Voted "Best Local Attraction" year after year. Now offering 5,000-foot pavilion and 1-acre, multi-purpose field with full catering options for outings of all sizes. 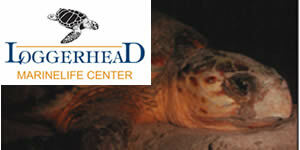 Marine nature center and sea turtle hospital in oceanfront Loggerhead Park. 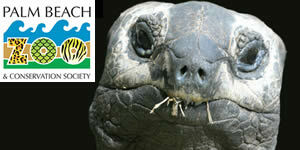 Exhibits, scheduled group tours, gift and book shop and evening beach walks in nesting season. Nature trails, picnic areas and playground. 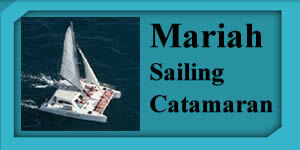 Three-hour sailing ocean adventures aboard our 49-passenger catamaran, "Mariah." Or, enjoy our 40-passenger pontoon fun boat, "Safari." Sail, snorkel, kayak, or wade on a sandbar. Come alone or bring a group. Palm Beach County's oldest and largest botalnical garden, a 14-acre urban oasis with over 2,000 species of tropical and subtropical native and exotic species. There is a $5 suggested admission. Group tours arranged on request. A multi-purpose, year-round racing facility featuring a 2.0 mile, 11 turn road course, an all concrete NHRA 1/4-mile drag strip, a skid pad and a new 8/10 mile asphalt kart track. All tracks are available for private rentals, including kart track rentals and for teambuilding events. 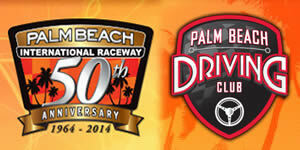 A million attendees come for car shows, motorcycle races, testing and racing schools. 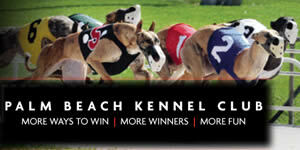 Featuring the best in live action, year-round greyhound racing. Simulcast wagering from greyhound, thoroughbred, harness and Jai-Alai facilities. Visit the all new Poker Room with new games, higher stakes and Big $$$Tournaments. Fine dining in Paddock Restaurant; casual dining in The Terrace. 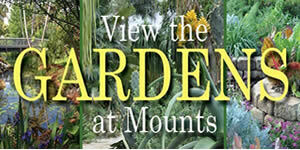 Enjoy 23 acres of tropical splendor with over 1,500 animals from North, Central, South America, Asia and Australia. Interactive fountain, carousel, waterfront Tropics Café and new Malayan Tigers. 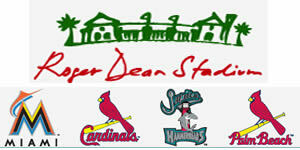 Spring Training home to both the Florida Marlins and St. Louis Cardinals, and home to the Florida State League Jupiter Hammerheads (Single A affiliate of the Florida Marlins) and the Palm Beach Cardinals (Single A affiliate of the St. Louis Cardinals).